Olymp Trade is an international trading platform. It was founded in 2014. Its payouts are up to 90%. OlympTrade doesn’t have a huge variety of trading accounts to choose from. Although this seems to be odd, it gives all the traders equal features when trading. The fact that traders can only open similar account type makes everyone equal and there is a lot of democracy for all traders. Traders can choose to open their trading account with US Dollars or Euros as the base currency. This choice is made during the account registration and can not be altered later on. Therefore, the trader should choose his or her base currency wisely. The minimum deposit that a trader can make with this is $10 just like with IQ Option, which is low enough for even beginners with lower amounts of cash to invest. $10 is the lowest amount of minimum deposit that any trading platform in the field can ask for. The OlympTrade offers a number of important features to all its traders who deposit funds with them. 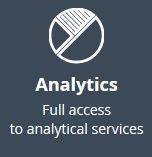 The trading account is equipped with free market analytics and personal account manager. 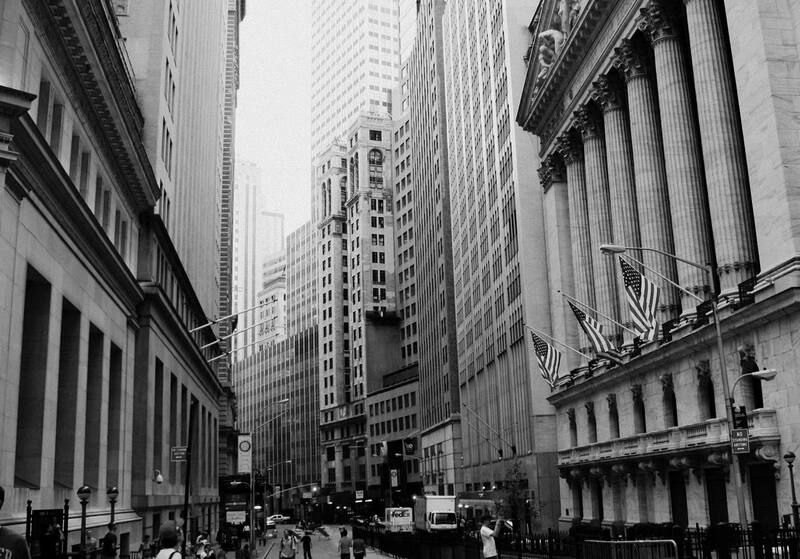 The traders are also entitled to an easy access to financial market and a payout of up to 80%. All traders who register with OlympTrade are qualified to get bonuses as well as other promotions offered by the trading platform. However, the terms and conditions of the bonuses are not laid out well on their website; they are left to your account manager to advise you accordingly. But we hope with time the trading platform will do all it can to make the terms and conditions more detailed and easily accessible. You have to be registered with the trading platform in order to be allowed access to the demo account. The Demo account is funded with 10,000 virtual money which is more than enough for experimenting and also understanding the trading platform. The demo account is also a very prime stage for testing new trading strategies. Demo account is by all means recommended even to experienced traders. All the features of the OlympTrade trading platform show they are set to serve all traders and especially the newbies. Unfortunately, with their trading platform, the only type of options available for trading is the classic high/low option. The expiry time varies from 60 seconds to 3 hours. Therefore, this trading platform is a better choice for traders who prefer short expiry times. The short expiry times also has higher risk but it is more profitable. But for you to trade there are no downloads that are required. Traders carry out their trading in selected Internet browsers. The OlympTrade trading platform is very user-friendly. The trading chart is positioned on the right side of the website, while the area for viewing the placed trades is on the left. Their website has bright colors are thus showing exactly what each element is for and thus removing any confusion, even when it comes to inexperienced traders. Furthermore, on the bottom of the trading platform, traders will see a table that contains all their trading history which gives the traders an amazing overview of their trading history as well as their previous decisions. The trading platform also provides an Android app for Android operated devices and an iOS app for iPhone devices. This mobile app ensures that traders can trade on the go at whichever location and at whatever time provided it is within the allowed trading hours. The trading platform website is very well designed and it is navigated by a drop-down menu bar that is placed on the right-hand side. All their Terms and conditions can be easily viewed at the bottom of the pages. Just as with most trading platforms, the OlympTrade has a very responsive and supportive customer support team. This forms the basis of the relationship between any trading platform and their traders. The trading platform’s support team is easily reachable in a number of ways. They can be reached via phone, live chat or email. The live chat and the phone call are the fastest means of communicating with the customer support, but if you are not in a hurry you can use the email address and your grievances will still be handled. OlympTrade also has an education section with articles and videos available to only the registered traders. Here beginners can get access to the beginners’ course which only takes 15 minutes. There are also different trading strategies that are explained, and also videos that provide further information. Any learning materials are easily accessible from the OlympTrade Academy. Traders can also use the FAQ section which provides answers to questions which are frequently asked by traders. This is a superb solution for traders who don’t want to chat with the customer support team or want to find answers on their own. The Olymp Trade platform is certified by the international Financial Commission (FinaCom) as a category A member. The Financial Commission provides for the traders protection by its fund for up to $ 20,000 per case if a dispute between a trader and a broker is resolved in favor of the trader (under the conditions established by FinaCom). Traders should use the same banking method for depositing to withdraw their funds. Withdrawals take 5 working days to be withdrawn. However, the money may take a longer time to appear in the trader’s bank account due to different banking systems and legislation. 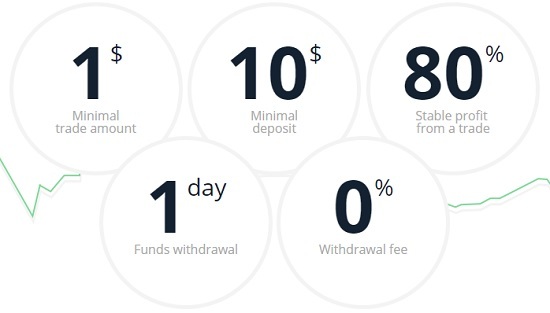 Similar to the minimum deposit amount, the minimum withdrawal amount is $10. But according to the trading platform, some trading accounts will require special verification and authorization by the financial department once the request for a withdrawal is made. However, the information pertaining this is not well laid out on their website. For those accounts which require the special verification, the traders are obligated to provide certain documents. Upon submitting, all the documents are processed in 1 day once they are received by the trading platform’s financial department. Then, the trader gets a notification letter showing if the authorization is successful or not. Olymptrade appeals mostly to new and inexperienced traders who are looking for a risk-free and profitable way to invest their money, make reasonable profits and learn new strategies along the way. One of the best feature of Olymptrade is that it offers free registration to new members with virtual credits of $10,000. It is to provide new investors with a general idea of how the whole system functions. A demo account allows a new member to hone their trading skills, get accustomed with the strategies of the trading platform, learn about the ground rules and get familiarized with what to expect before they begin trading with real money. Olymptrade doesn’t offer bonuses and signup incentives that are usually offered by most of the online trading platforms nowadays. Instead, they offer their traders with the lowest level of investments possible. Registered members of Olymptrade can trade with the minimum amount of $1. While being the most moderate to low risk platform. Olymptrade also provides newbie traders with a low rate of profit and loss making it ideal for someone who is just stepping into the world of trading. But it’s not the platform to use for anyone who wants to make money quick. Is Olymptrade legitimate, or will they scam me? We have a team of professionals that tests all the trading platforms, before recommending them to you. A trading platform’s software and licensing are not only investigated but also tested extensively by us. Our team trades with the dealers to estimate the legitimacy of different aspects of their trading systems. These aspects include ease of access, methods of withdrawals and deposits, client services and the total experience of trading with said trading platform. Do they offer a selection of mobile or tablet apps? The modern age allows us access to technology from anywhere, anyplace and at anytime. Everyone has access to the power of technology at all times with mobile and tablet devices in our pockets, and with access to technology comes the need to stay informed. It is necessary for a reliable trading platform to acknowledge this fact and provide their investors with an easily accessible platform that is supported by both iOS and Android devices. Olymptrade has recognized this fact by offering a website that is supported and easily operated from all mobile devices. What bonuses do they offer for new traders? Olymptrade is aiming to provide services to Russian beginner level traders with their low-risk trades between dollar $1 to $10. Their members can start investing with an amount as little as $1 by making a deposit of $10 only. Since Olymptrade provides its members with a chance to invest in small amounts, the amount of available and tradeable assets is low, which helps greatly in reducing the risk factor when using Olymptrade’s services. The best part of trading with Olymptrade is that they don’t try to draw in potential investors with alluring schemes and bonuses. They do, however, offer intermittent bonuses or rewards such as when members successfully refer people to the system. Is it possible to start trading using a free demo account? Olymptrade offers free virtual demo accounts to its registered members, where they can refine their trading skills with the virtual money of nearly $10,000. This is the best option for an investor who is searching for a way get into trading. Here they can learn the basics of trading, how and when to invest, trading strategies, what to expect, and so much more without even spending any real money. With their focus on providing the most up-to-date trading experience possible to a first time trader. The Virtual demo accounts of Olymptrade are the best way to get introduced to the world of trading. With the aim of providing low-level deals, Olymptrade is one of the few trading platforms who is providing minimum deposits of $10. This initial amount gives you access to your demo account with almost $10,000 of virtual credits. With Olymptrade, you can begin trading your investments in quantities starting from $1. This is an ideal introductory platform for a new investor which gives them a chance to invest safe amounts and also enables them to learn more about the trading world before they move on to making significant investments. Currently, Olymptrade traders can trade using a handful of currency pairs and commodities. However, other currencies and assets like stocks and indices will soon be added to their list of tradeable assets, as the trading platform seems to be working on expanding their list evident from their mention in the ‘glossary’ section. Members of Olymptrade benefit from an extensive list of tradeable assets. 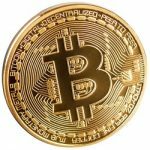 Members are allowed to choose from 8 pairs of currencies along with many other individual stocks, bitcoin, commodities, indices. 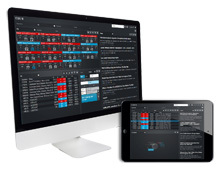 The Olymptrade software allows members to use standard trade options of ‘call’ and ‘put,’ commands with wide-ranging expiration time limiting ranging from a minute up to one hundred and eighty minutes (3 hours). An investor can initialize their trading with Olymptrade by depositing a minimum amount of $10 which enables a member to start making trades of minimum $1. 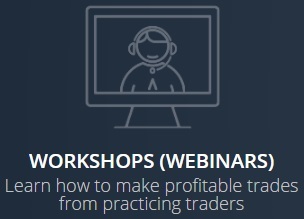 These low-level trades allow a member to get a general idea of the trading system, and they can benefit from low-risk businesses while getting a chance to practice their trade skills. Low minimum deposit: A trade account can be refilled with the minimum deposit amount of 10$ or 10€. The minimum investment amount required to make a trade is 1$/1€ which is as small as one can expect. The Demo account: Members who sign up for an account with Olymptrade can benefit from a unique feature allowing members to run the demo and real account in parallel. Apart from getting access to your account, a particular link will be generated to give you access to another virtual account which is created in your name with virtual $10,000 credits. This account can be used freely to experiment with trading strategies and improve investment skills without risking your real money. Unique trading platform: Olymptrade offers you a smooth and easy to use trading platform which is supported by all iOS and Android devices. Also, the trading platform aims to add extra functions to their trading platform based on customer’s demand for trading options. 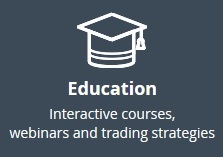 Easy Availability of educational information: Olymptrade provides their members with an opportunity to benefit from free educational trading lessons. Members can use this feature to analyze market stats and conduct extensive performance analysis of trade signals. Regulatory oversight: This makes the trading platform reliable and provides you with a legit business trading platform with whom you can confidently invest your money with. 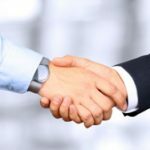 Olymptrade provides its clients with such benefits as dispute settlement options and deposit compensation in the event that a broker violates the agreement or law. Welcome bonuses: New members offered a welcome bonus of approximately 50% on their initial deposits, which depends on the amount deposited. This bonus cannot be withdrawn but is available for use for the purpose of generating further profits. No app for Windows: Currently, Olymptrade is providing its members with an Android and iOS app and a trading platform supported and easily accessible through all web browsers. An app that is backed by Microsoft Windows hasn’t been announced yet. 7 Binary Options review: OlympTrade: 5 stars. you guys dont have online chat. Im new to your platform and i am looking at using candle stick charts and also changing the time frame from one minute to hour, ho do i achieve that please. I would like to know if you work with cusomers from the United States?I see you work with USD money but it was not clear if you accept US customers. I’m trading on olymp trade. Lately trading has been going very well. The platform’s interface is convenient, you can scale charts. If you trade on different timeframes, it’s easy. And very helpful. Although, in the beginning, I practised on the demo account, moreover, I used to decrease it to the minimal deposit of $10 on purpose to get closer to my real situation. But once I switched to the real account, I raised it from $10 to $100 on the first day already. But of course, you don’t get this lucky every day. Withdrawing money from olymp is also an easy process.You can use any card or electronic wallet. There’s no commission for withdrawing. Olymp Trade is a conscientious broker. I was convinced of this when I began to trade there. Despite the small min deposit of $10, it provides all opportunities for trading for clients with different experiences and income levels. The registration is very fast there. Money is promised to be withdrawn per day, but in reality it takes only a few minutes. Verification, unpleasant but a necessary procedure, also does not take long. I’m satisfied with this platform in general. My previous broker didn’t spoil with such things. It’s even fine to trade with crypt on Olymp. Does it have Zcash? Recently I’m very interested in it. Curious things have been happening lately with it. The interface is user-friendly. The list of working assets can be easily grouped. You can switch between them in one click. The charts are connected also very easily. There’s no way to reduce them, and you can’t organise several charts on your desktop simultaneously, but the developer is already working on this problem. Generally the platform is very convenient. Exactly what you need for a short-term trading. Trading conditions are democratic: 10 bucks deposit, deals from 1 dollar. There are no problems with withdrawals. I’m not planning to switch to another broker. I really like the platform. Guys constantly add new options and have a good sense of usability. Now you can trade on forex here. Wit integrated risk-management options this platform is much more convenient than MT4 forex-platform. For example, orders are are opened straight with limits, thanx to which you can learn scalping on a demo accout and get a good real help from bonuses. Even if you lose deposit you can get an additional bonus while replenishing account. Conditions are comfortable to work. I am in the US. 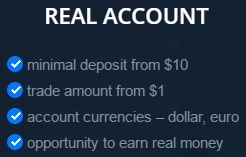 Can I trade if I open an account?